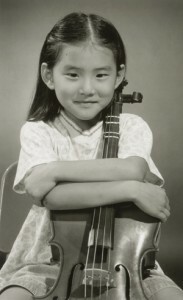 As we approach the beginning of our third decade of existence, we are very proud of the String Academy’s accomplishments: steady enrollment, students who are winning local and regional competitions, high quality music instruction for the children of Greater Milwaukee, and especially of our Scholarship Program for financially disadvantaged students. Each year nearly 155 children benefit from studying violin, viola and cello at the String Academy. We raise funds annually to support picture our Scholarship Program in order to keep our unique, intensive training program affordable for all families. We believe strongly in our mission to provide needy students with the opportunity to study music in a setting of excellence. Since our inception in 1990 we have funded approximately 20 to 40 students annually with full scholarships. String Academy parents raise a portion of these funds through special projects such as our annual flower sale, but most of the funds come from individual gifts and grants from corporations and foundations. We are always searching to find talented and financially deserving children for our program. The String Academy has successfully developed the Urban Students in Arts Scholarship Program at two Milwaukee Public Schools: Milwaukee Academy of Chinese Languages, Escuela Vieau K-8. String Academy faculty give individual instruction in violin and cello at these schools and the children come to UW-Milwaukee for weekly group lessons and performing opportunities. 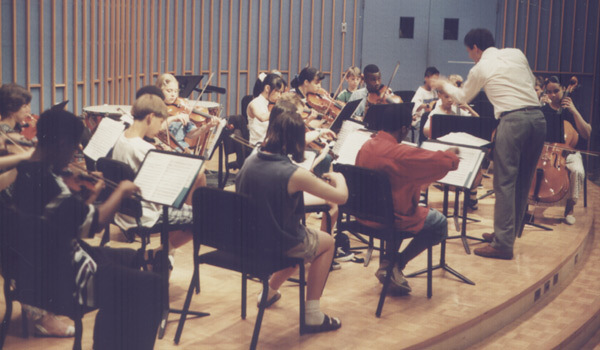 This comprehensive learning experience offers much more than simply a music education. The students become self-directed, disciplined and eager to explore new avenues. Students from the Urban Outreach Program were chosen to perform on our annual Scholarship Benefit Concert this past year. The String Academy artist faculty is comprised of performing musicians with degrees from prestigious institutions. In addition to performing in many of Milwaukee’s major musical organizations, they are specially trained to work with children and have devoted their lives to work in this field. The String Academy faculty presents training workshops to teachers from across the United States and Canada. They also teach courses for UWM’s Master of Music degree program in String Pedagogy as well as undergraduate string methods courses. 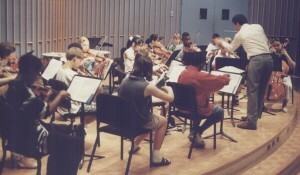 The String Academy itself serves as a wonderful laboratory setting for music education students at the university. String Academy students, under careful guidance from faculty and parents, engage in a challenging course of study that includes private and group instruction, daily home practice, frequent performances (all together, more than 50 each year! ), master classes, and instruction in music theory and ear training. String Academy students have been soloists with the Milwaukee Symphony Orchestra, Milwaukee Chamber Orchestra, Waukesha and Racine Symphonies, and other area performing groups. While some students will choose music as their career, all of our students will develop an appreciation for music and the arts in general. Ninety-nine percent of our alumni have graduated from high school, and most have gone on to institutions of higher learning. String Academy alumni are performing and teaching throughout the world, as well as thriving in other fields such as medicine, engineering, technology, and social work.